Brent White shares his testimony of his conversion to being a strong conviction about the truthfulness of the Bible. Included in the post are comments on a British podcast by a Christian apologist and Oxford mathematician. The full transcript of his lecture explaining how the Book of Daniel is a perfect book for Christians trying to figure out how to live in the 21st century. The speaker, John Lennox, speaks specifically of Great Britain, but I think many of his observations apply to us — or will in the coming years. This is how he frames the story of Daniel. So, we have a young man who has been brought up to believe in God and he’s suddenly without warning precipitated into a completely alien culture. He’s moved physically. Now we haven’t been moved physically in this country, but in recent years and with increasing acceleration, we’ve been shifted from a culture that has been broadly monotheistic, in a culture that is increasingly relativistic, that’s increasingly atheistic, and that’s increasingly marginalising the capacity of the possibility of articulating faith in God in public…. To maintain your faith in God and your public witness in that kind of a situation is not easy. My view is that if we can gain anything from looking at this book that will help us to unpack the secret of Daniel’s stability and his conviction and his power and understanding, then it is worth doing. If you prefer to listen, the lecture audio is here. Posted on July 11, 2015 by John MeunierPosted in Bible, Christian lifeTagged Bible, Christianity, Daniel, faith. Thoughts come to me in odd places some times. I was sitting in the back of a used bookstore in town Wednesday night. I was just sitting and listening to the people in the store. Downstairs, a group of teenagers were playing a role playing game, laughing and joking and reveling in being nerds. Upstairs, the staff were talking about Russian translations and high school classes and various other topics. I found myself musing about what it would mean to witness to the gospel in that place at that moment, and I was instantly aware of the barriers that would make that difficult, not the least of which being that none of those people at that moment had any sense at all that they were in need of good news. I prayed for them as I sat there and this thought came to me. I recalled Jesus’ first sermon in the gospel of Luke. The Spirit of the Lord is on me, because he has anointed me to proclaim good news to the poor. He has sent me to proclaim freedom to the prisoners and recovery of sight to the blind, to set the oppressed free, to proclaim the year of the Lord’s favor. I’ve read and heard that passage from Isaiah many times, but Wednesday night I found myself wondering if we should hear this as Jesus talking to the church about our target audience: the poor, the captive, the “blind,” and the oppressed. Or maybe it is just a message for me and not the church. Or maybe it is just my own squirrel brain at work playing tricks on me. All over my Facebook feed the last couple of days, people have been sharing this article by Carey Nieuwhof about reaching people who don’t think they need God. It seems like pretty good advice, but I wonder if maybe it is missing the point in a way. People who find their lives comfortable and live indifferently to God have never been a very ripe field for harvest. This has always been the case. Read Deuteronomy 8 if you don’t think God knows this. Read virtually of the rest of the Bible for further confirmation. There is a reason the prophets were met with stones and chains. 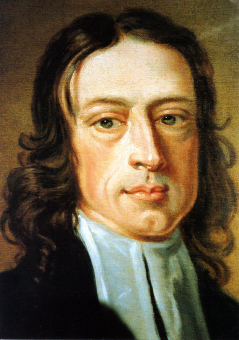 As I ponder these things, I think of the way the early Methodist movement made its greatest impact among what John Wesley called “plain” people. Could it be that the ones who responded to Methodist preaching were people who had found the “happiness” their society offered them unattainable or false? I recall Jesus Christ saying that he came not for the healthy but the sick. Is our chasing after people who see themselves as well-adjusted and basically comfortable a misunderstanding of Jesus’ ministry? Of course, a great counter point to my argument are all those beautiful and packed mega-churches sitting right in the heart of some of most affluent communities in America. Rich and powerful people have spiritual needs, too, I’ve been told more than once. But I can’t shake this thought that my most effective moments in ministry have been with those who are already conscious of their suffering or unhappiness or pain. Perhaps it is just not my gift to shake the sand that so many people build their lives upon. When God has used me the most, it has been with people already aware that the flood waters and storms have washed away what they had been building their life upon. Could it be that discontent is the soil in which the seeds of faith find root? His language is powerful. He delivers his message well. I can see why it has stirred up people. Of course, it is not original. Humans have been angry about suffering and death from the first. Job, Ecclesiastes, the Psalms, and Lamentations all give voice to the range of despair and anger that both atheists and the faithful have raised for as long as humans have drawn breath. Fry suggests that bone cancer and other afflictions reveal God’s character — if he exists — as a cruel, selfish, and insane god not worthy of worship. What person who has lived any life at all does not understand the pain and anger expressed by such accusations? I am writing this post on Ash Wednesday, when many Christians gather in worship to be reminded that from dust we have come and to dust we will return. It is a day we remember and are reminded that we will all one day die. If faith is only possible to us in a world without suffering or pain, then faith will be impossible for us until the end of all days. Of course, if a man is determined to face mortality and suffering by spitting in the eye of God, we cannot reason him out of his plan. We certainly don’t do any honor to God by getting angry at him or posting nasty things about him on the Internet. If Fry professed to be a Christian and said such things, it would be cause for some church teaching and perhaps discipline. But he is not of our tribe. We can and should be ready to explain the hope that is in us. We should be ready to offer him Christ. We should pray for God to bless him. But we should not be surprised by his outrage. Our Bible speaks of the same kind of anger and fear. We know suffering and pain. Ashes and dust await us all. And yet God is God.